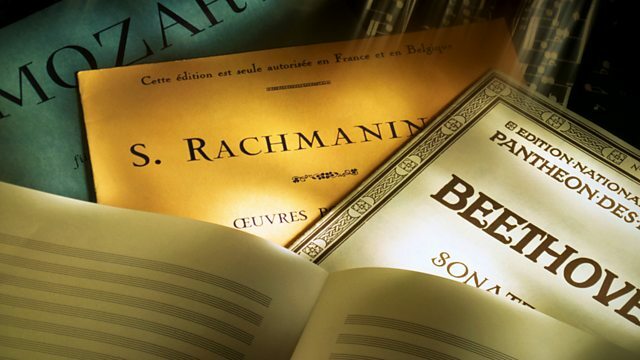 Frances Fyfield is joined by conductor Steuart Bedford to explore the composing score of Britten's Young Person's Guide to the Orchestra, newly acquired by the British Library. When Benjamin Britten was asked to contribute to an educational film about the symphony orchestra, he turned to a theme by that other great British composer, Henry Purcell. The resulting theme and variations - a 'Young Person's Guide' - has become, over the years, a staple of concerts for young and old alike - such as its appearance in the most recent BBC Last Night of the Proms in 2011. But the composing manuscript on which Britten worked out his brilliant and buoyant series of instrumental illustrations was given to a young lady working on the projec,t while Britten turned his attention to a full orchestral score. It's only in the past few months that the manuscript showing the composer at work came to light and was saved from overseas sale by the British Library. Frances Fyfield is joined by conductor and friend of Benjamin Britten, Steuart Bedford, as well as the young musician and scholar Christopher Milton and hand-writing analyst Ruth Rostron to decipher the composer's working out of a piece - as familiar now as it has ever been. Rather than a tidy, fair-copy this is the composer in full creative flight. All the more surprising then that it isn't punctuated by the scrubbings and editing of uncertainty. Instead, it's full of confidence and suggests a man at work on a lifelong project - making his music accessible to the ears and minds of the young. And Frances also gets to meet the lady who looked after the score for half a century, with little idea of what it might be worth.